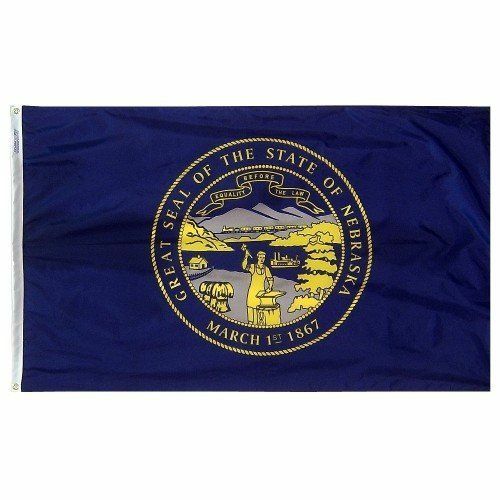 AmericanFlags.com is proud to carry Nebraska State Flags in a variety of materials, and styles, in sizes ranging from 4 IN X 6 IN to 12 FT X 18 FT. All of our Nebraska flags meet official specifications, are on sale right now and are ready for immediate shipping to your door. 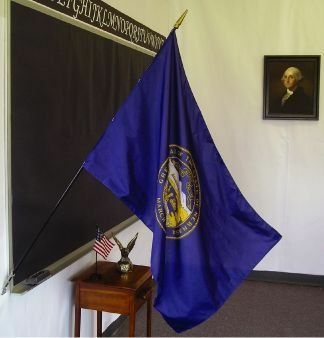 One of the last states to adopt an official flag, Nebraska's State Legislature finally designated the state banner the official State Flag of Nebraska in 1963. 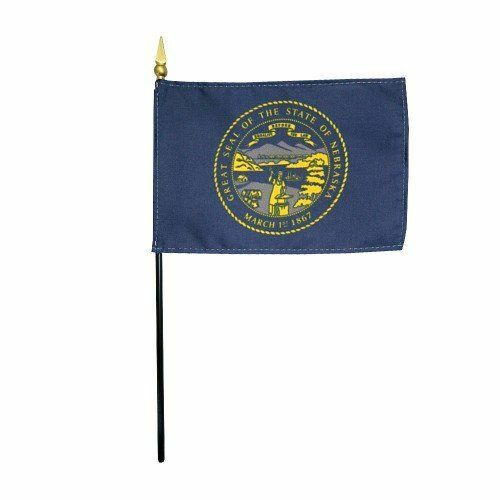 Featuring the state seal on a deep blue field, the flag bears the image of a settler’s cabin, a blacksmith, sheaths of wheat, a steamboat on a river and the transcontinental railroad. 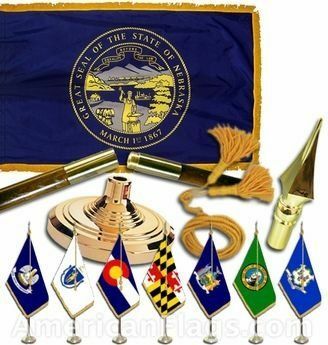 "Equality Before The Law," is the state's motto, which is inscribed on a banner above an image of the mountains. The date, March 1, 1867, listed below the seal marks the date that Nebraska was admitted into the Union.